Negotiable Instrument is a written document that guarantees to pay a certain amount of money to the bearer of the document either on demand or by setting time. It is a method of transferring liability from one person to the other. They are mainly used for commercial transactions and financial dealings. A promissory note is an example of Negotiable Instruments. 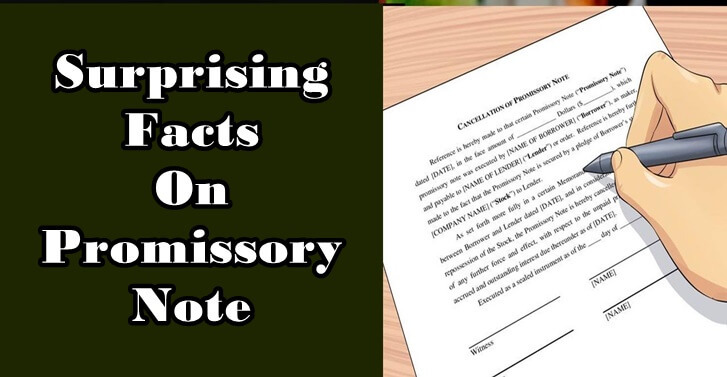 According to The Negotiable Instruments Act, A "promissory note" is an instrument in writing (not being a bank-note or a currency-note) containing an unconditional undertaking signed by the maker, to pay a certain sum of money only to, or to the order of, a certain person, or to the bearer of the instrument. (b) "I acknowledge myself to be indebted to B in Rs.1,000, to be paid on demand, for value received." (c) "Mr B I.O.U Rs.1,000." (d) "I promise to pay B Rs. 500 and all other sums which shall be due to him." (e) "I promise to pay B Rs. 500 first deducting there out any money which he may owe me." (g) I promise to pay B Rs. 500 on D's death, provided D leaves me enough to pay that sum. There are certain Important Essentials for Promissory Notes. The promissory note must be in writing. It must contain an undertaking to pay. The promise to pay must be unconditional one. It must be signed by the maker. The maker must be a certain person. The undertaking must be to pay a certain and definite sum of money only. It must be payable on demand or at a fixed or determinable future time. It should only payable on demand or at a fixed or determinable future time. The payment must be in a legal money of the country and not in the form of food, grain or animal. Revenue stamps or requisite value under the stamp Act of the country should be affixed. Other matters of form like number, date, place etc, are usually found given in notes, but they are not essentials in law. A bank note or a currency note is not a promissory note within the meaning of this section. A promissory note cannot be made payable to bearer on demand. Lawyers in India can provide you with more information about it.